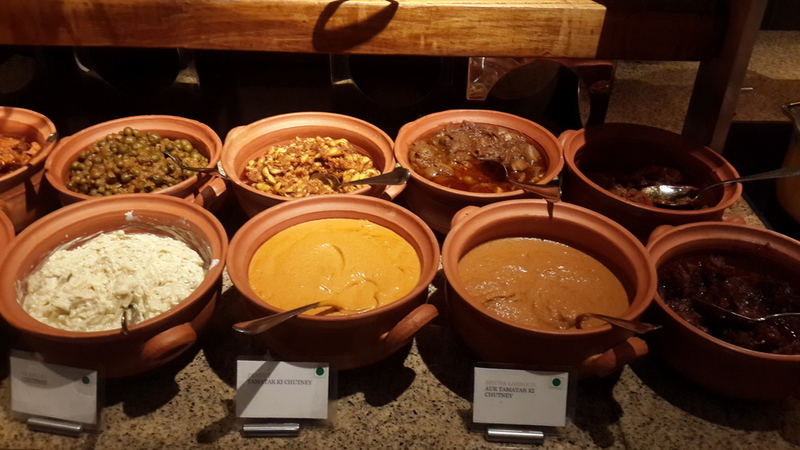 Home / rajasthan cuisine / rajasthani food / Restaurants / reviews / The Spice trail of Rajasthan at Westin Gurgaon. 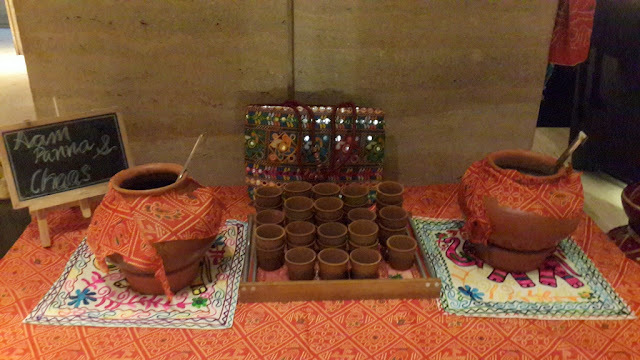 The Spice trail of Rajasthan at Westin Gurgaon. Westin Gurgaon brings The Spice Trail of Rajasthan which gives a chance to savour food from the land of Royalty till the 23rd of this month. I could barely wait so I decided to try all that deliciousness on day 1 itself. The mood is set from the moment one enters “Seasonal Taste”-servers in ethnic attires and décor that brings out the colourful ethnic flavour of Rajputana brighten up the otherwise neutral palette of the surroundings. Folk music from this glorious land billows out of speakers further adding a rustic feel. This put me totally in the mood for some Royal dishes from the famed land. A huge Chaat counter stood in the centre beckoning my attention and those fiery Mirchi vadas were on my plate as soon as they came out of the wok. This was followed by Bikaneri Papad roll which is a mixture of potatoes with dry fruits and just has a slight sweetness to balance the chillies encased in a crunchy papad covering. Mains were a huge spread from the desert-land. It had the quintessential Lal Maas, a huge hit with the carnivore diners. What I wanted to savour was Gatte ki sabzi,those chickpea flour dumplings cooked in a tangy yoghurt gravy are a delight for the senses. Ker Sangri another Rajasthani staple was on the menu too and complimented my Bajre ki roti. There was a huge variety of breads to choose from Bajra, Makka to of course the now ubiquitous Missi roti. A huge spread of condiments was alluring and I especially recommend theKachri ki chutney, Mirch ke tipore and Lasoon chutney. What’s a Rajasthani food festival without Dal Bati and this is something I can never have enough of. 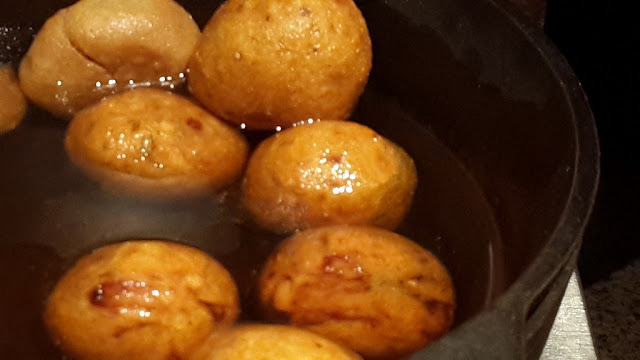 Those ghee laden dough delights immersed in a thick Panchmel dal tasted ambrosial. The dessert counter was laden with It was the Pista Ghevar that was delectable. They also serve two types of Churma, of which the besan version was particularly impressive. 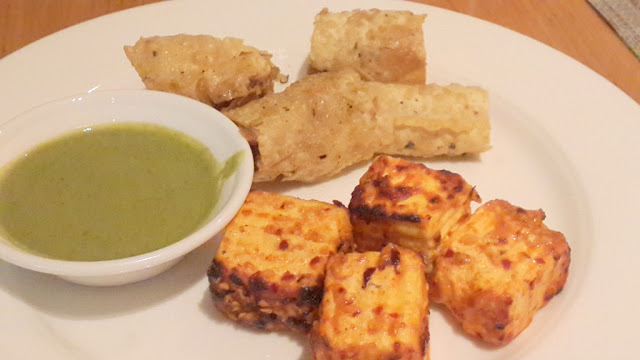 The food is as rich as Rajasthan and Chef Ramsingh of Le Meridien Jaipur does full justice to this cuisine. This food festival definitely demands a visit and is the apt event as a late winter beckons.